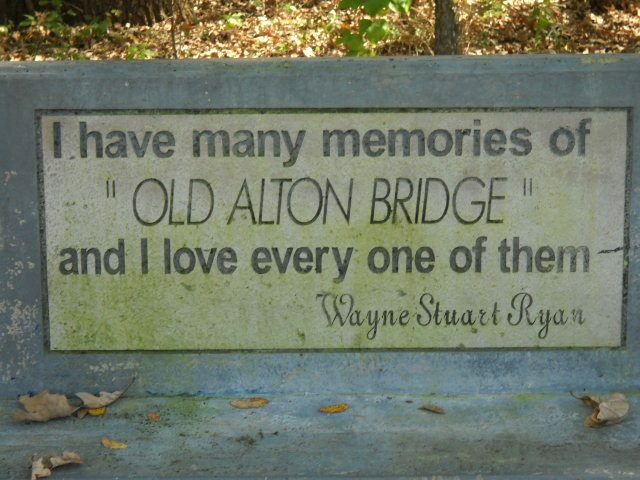 The question that persists when learning about the persistent legends that cling to Old Alton Bridge could very well be…why? 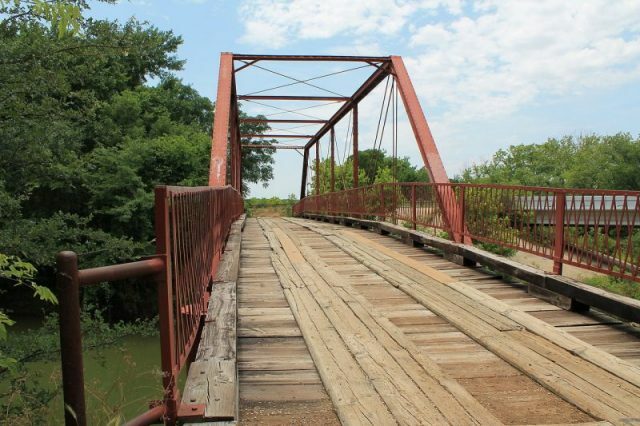 Why would a demonic entity haunt a rarely used country bridge in Denton, Texas? 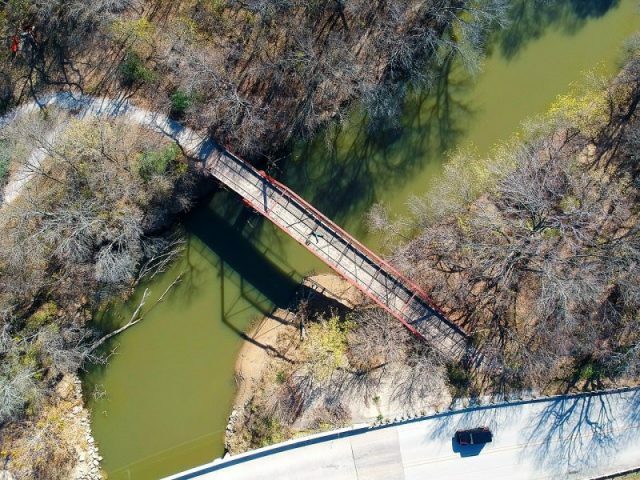 Since the answer isn’t likely to be definitively answered anytime soon, let’s settle into the story of Goatman and his favorite bridge. 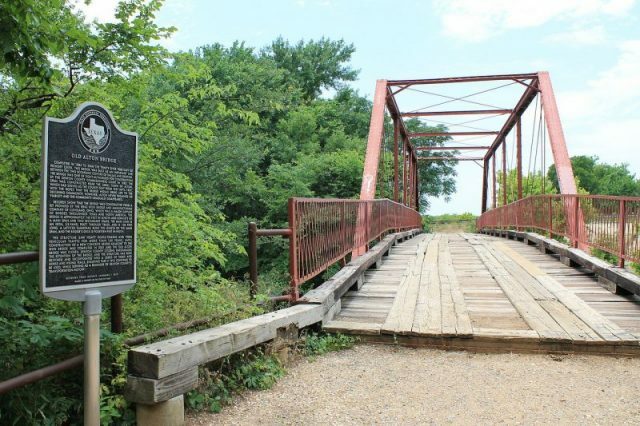 Less than four miles from the town of Corinth, in Denton County, there once existed the village of Alton, founded in 1848. It was not exactly a metropolis. “The only residence that existed was that of a man named W.C. Baines, who established a farmstead long before the designation of the new county seat,” according to the site legendsofamerica. The site of the town shifted over and by the 1850s it boasted a number of homes, a blacksmith shop, three stores, a school, saloon, hotel, two doctors, and a few lawyers. The Hickory Creek Baptist Church was built in 1855. But when the county seat moved farther away, Alton petered out again. 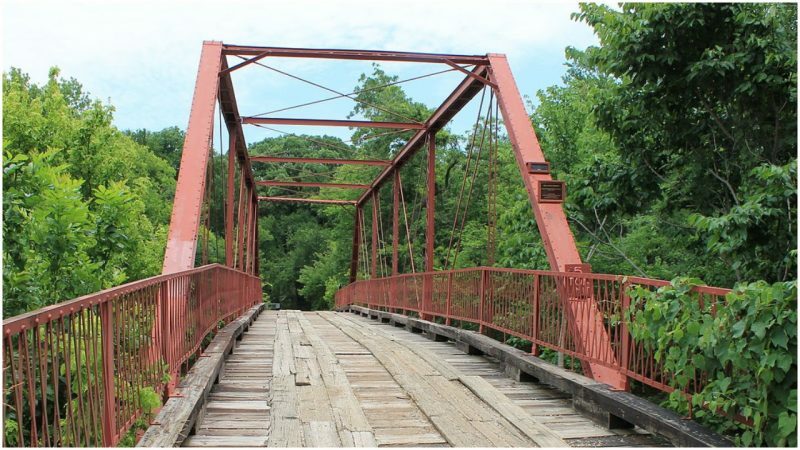 Nonetheless, in 1884 an iron bridge was built over Hickory Creek on Copper Canyon Road, south of the old townsite. Built by the King Bridge Company of Cleveland, Ohio, the 145-foot-long bridge would serve until 2001, when it was replaced by a modern, shiny concrete-and-steel bridge and a new road. It was closed to car traffic and is open only to pedestrians today. And the Goatman. Don’t forget him. 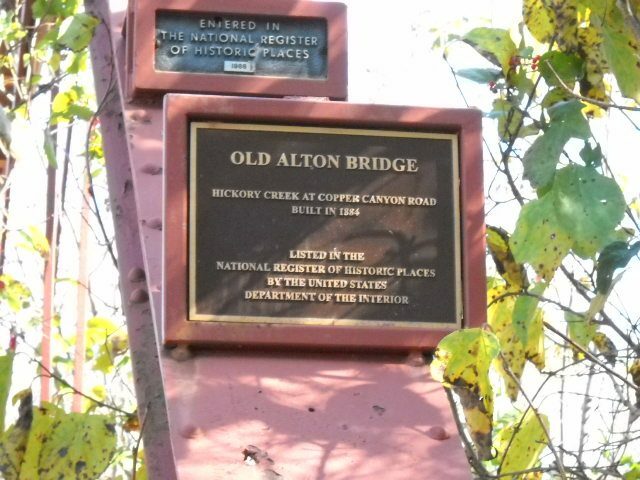 The first time someone reported something strange on Old Alton Bridge was 1938. Supposedly numerous abandoned cars that have been found near Old Alton Bridge, their owners strangely missing. The stories have grown so persistent that TV crews have showed up, including one from “Buzzfeed” and another from “Ghost Adventures” on the Travel Channel. 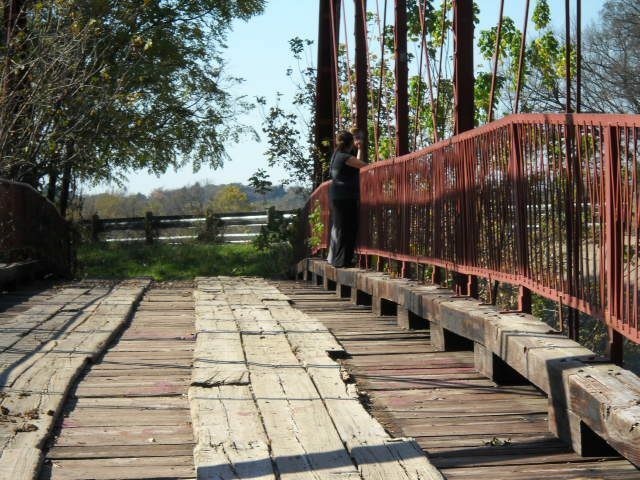 Here’s The Bridge That Is So Scary, People Have Panic Attacks Driving On It. The trouble with these sources is that there is no historical record of such a lynching. Let it be said that when the cameras were rolling for Buzzfeed or the Travel Channel, the Goatman decided not to growl, glow, stomp, or appear near Old Alton Bridge carrying a head. But the legend shows no evidence of dying.